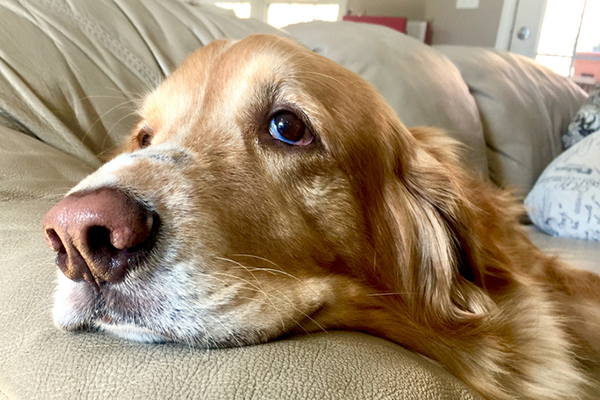 Jeffrey Welch's Blog: My Dog Ate Ibuprofen: Now What? The post My Dog Ate Ibuprofen: Now What? by Melvin Peña appeared first on Dogster. Copying over entire articles infringes on copyright laws. You may not be aware of it, but all of these articles were assigned, contracted and paid for, so they aren’t considered public domain. However, we appreciate that you like the article and would love it if you continued sharing just the first paragraph of an article, then linking out to the rest of the piece on Dogster.com. Can dogs take ibuprofen? Let’s not bury the lede here, folks. There are no circumstances under which it’s a good idea to give human medications to your dog. The only exception is if you have explicit instructions, including appropriate dosages, from a veterinarian who has examined the dog and taken into consideration the dog’s weight, age, and condition. Where painkillers like ibuprofen are concerned, there is a razor-thin margin between what may give them pain relief and what will cause worse, unrelated health issues. But what if your dog ate ibuprofen? Ibuprofen toxicity in dogs is a big problem, one exacerbated by the mundane, everyday nature of the medication. Over-the-counter pain relievers — whether the active ingredient is ibuprofen, acetaminophen, naproxen or otherwise — are incredibly common. For my own part, I keep bottles of Aleve in strategic locations throughout the house so that I never have to look long when the need arises. It is just this ubiquity and convenience that poses the greatest threat to our dogs. A sick senior dog. Photography ©AmyDreves | Thinkstock. According to the ASPCA, most calls about dogs and ibuprofen to their Animal Poison Control Center hotline were the result of panic. While there are, naturally, dog owners who extend their own comfort level with OTC pain relievers to their dogs, for the most part, reported cases of acute ibuprofen toxicity are the result of canine curiosity and indiscriminate appetite. Because people like myself leave bottles of aspirin or other pain medications lying around the house, on the kitchen counter, next to the sink, or any of a number of other convenient places, they are perfectly situated to draw the attention of a dog. Whether they’re in single-use blister packs or bottles containing 200 or more pills, tablets, or liqui-gels, even the most childproofed packaging isn’t much security against a dog’s jaws and teeth. We’re focusing on dogs and ibuprofen, since that appears to be the biggest reported culprit, but no nonsteroidal anti-inflammatory drug, or NSAID, is safe for dogs to take. Depending on an individual dog’s tolerance, one 200mg tablet can be sufficient to cause symptoms of ibuprofen toxicity in dogs. If a dog gains access to a bottle, the chances of eating just one are remote and the potential damage far more severe. You’ll see that these symptoms involve a certain set of internal systems, notably the digestive system and the central nervous system. Should a dog ingest enough pills, and should it take too long for the dog to receive medical attention and emergency treatment, the results of the symptoms enumerated above can reach their logical conclusions: kidney failure, coma, even death. What about if your dog ate acetaminophen, such as Tylenol? Dog metabolism is both different and faster than that of humans. NSAIDs are fast-acting pain relief medications; combine that with a much narrower margin of safety for dogs than humans, and the consequences make more sense. One reason why ibuprofen specifically is dangerous to dogs, particularly Advil, is the sweetened outer coating. Unlike cats, dogs can experience the taste of sweetness, making them more appealing in greater quantities. Once in the stomach, NSAIDs reduce the production of COX enzymes. These enzymes are responsible for natural inflammation control; anti-inflammatories inhibit the ability of the dog’s body to regulate itself. More importantly, COX enzymes help to produce and maintain the mucosal barrier. This is a lining that protects the stomach wall from being worn away by its own digestive acids. The more pain pills a dog swallows, the faster that lining disintegrates. With the gastric mucosal barrier weakened, ulcers can begin to form. In a worst-case scenario, ibuprofen ingestion can actually create holes in the stomach itself, and cause stomach acids to leak into the abdomen. The COX enzymes have other functions, too, involving the blood’s ability to clot and regulating the flow of blood to the kidneys. When a dog eats pain medications, they not only cause wounds, sores, and perforations to occur, but also prevent them from healing. When blood flow to the kidneys is compromised, it is easier to understand why a dog might have trouble controlling or managing their bladder function. The analgesic, or pain-killing, function of NSAIDs explains the neurological symptoms. Open wounds in the stomach or small intestine should key us in to why blood might appear in a dog’s vomit and feces. If your dog ate ibuprofen, or you even suspect he might have, call your vet! The more pain pills a dog ingests, whether they are offered by the owner or eaten accidentally, the more dire the consequences. Calling a veterinarian or getting the dog to an emergency pet hospital as quickly as possible can make all the difference to how bad the symptoms become and the length of recovery if your dog ate ibuprofen. The treatment options can be as relatively simple as a stomach pump or as involved as surgery to repair a perforated stomach. Dogs are much better than humans at concealing pain, but if it is clear to you that your dog is suffering, do not, under any circumstances, reach for the medications that you use to treat your own aches and pains. Every dog is different, and only a veterinarian can determine a dosage that is appropriate to your dog’s specific body chemistry, or whether any NSAID can or should be given at all. The ASPCA’s Poison Control Center hotline is available 24 hours a day. Click here for the most current contact information! Plus, did you know that NSAIDs could cause serious side effects in humans? Thumbnail: Photography ©Rasulovs | Thinkstock. Should You Worry About Yellow Dog Poop?